God is love (1 John 4:8, 16). This saving love of God has been revealed and communicated to mankind in Christ and is present and active throughout the world by means of the Holy Spirit. The church is the living sign of that love in such a way as to render it the norm of life for all. This -mission, Christ's own, is one of love because in him it finds its source, goal, and way of proceeding (cf. AG 2,5, 12; EN 26). Each aspect and activity of the church's mission must therefore be imbued with the spirit of love if it is to be faithful to Christ who commanded the mission and continues to make it possible throughout history. The church, as the Council has stressed, is a messianic people, a visible assembly and spiritual community, and a pilgrim people who 'go forward together with all of man¬kind with whom they share the human experience. They ought to be the leaven and a "soul" for society as it is to be renewed in Christ and transformed into the family of God (cf. LG .9; GS 9, 40). This messianic people has as its law "the new commandment to love as Christ has loved us and as its goal the kingdom of God which was already begun by Hirn" (LG 9). The pilgrim church is therefore " missionary by its very nature" (AG, 2 cf. also 6, 35, 36). For every Christian, the missionary duty is the normal expression of his lived faith. "The mission of the church is carried out by means of that activity through which, in obedience to Christ's command and moved by the grace and love of the Holy Spirit, the church makes itself fully present to all persons and peoples..." (AG 5). The task is one but comes to be exercised in different ways according to the conditions in which mission unfolds. "These circumstances depend sometimes on the church itself, sometimes on the peoples or groups or individuals to whom the mission is directed... The appropriate actions or tools must be brought to bear on any given circumstances or situations... The special end of this missionary activity is the evangelization and the foundation of the church among peoples or groups in which it has not yet taken root" (AG 6). Other passages of the same Council have stressed that the mission of the church is also to work for the extension of the Kingdom and its values among all men and women (cf. LG 5, 9, 35; GS 39, 40-4.5, 91, 92; UR 2; DH 14; AA 5). The different aspects and manners of mission have been broadly delineated by the Second Vatican Council. The acts and documents of subsequent ecclesiastical teaching, such as the Bishops' Synod on Social Justice (1971) and those dedicated to evangelization (1974) and catechetics (1977), numerous addresses of Pope Paul VI and John Paul II and statements of the episcopal conferences of Asia, Africa, and Latin America have developed various aspects of conciliar teaching, adding, for example, " as an essential element of the mission of the church and indissolubly connected to it" (RH 15) the commitment to mankind, to social justice, to liberty and the rights of man, and the reform of unjust social structures. and expressing itself in many ways. Mission is thus presented in the consciousness of the church as a single but complex and articulated reality. Its principal elements can be mentioned. Mission is already constituted by the simple presence and living witness of the Christian life (cf. EN 21), although it must be recognized that "we bear this treasure in earthen vessels " (2 Cor 4:7). Thus the difference between the way the Christian appears existentially and that which he declares hirnself to be is never fully overcome. There is also the concrete commitment to the service of mankind and all forms of activity for social development and for the struggle against poverty and the structures which produce it. Also, there is liturgical life and that of prayer and contemplation, eloquent testimonies to a living and liberating relationship with the active and true God who calls us to His kingdom and t6 His glory (cf. Acts 2:42). There is, as well, the dialogue. in which Christians meet the followers of other religious traditions in order to walk together towards truth and to work together in projects of common concern. Finally, there is announcement and catechesis. in which the good news of the Gospel is proclaimed and its consequences for life and culture are analyzed. The totality of Christian mission embraces all these elements. Every local church is responsible for the totality of mission. Moreover, every Christian, by virtue of his faith and baptism, is called to carry out to some degree the whole mission of the church. The needs of the situation, the particular position of the people of God, and an individual's personal charism dispose the Christian to direct his efforts principally to one or another aspect of that mission. The life of Jesus contains all the elements of mission. In the Gospels, Jesus is shown in silence, in action, in prayer, in dialogue, and in teaching. His message is inseparable from his deeds; he announces God and His reign not only by word but by his deeds and works which complete his preaching. Accepting contradiction, failure, and death, his victory passes through the gift of life. Everything in hirn is the means and way of revelation and salvation (cf. EN 6-12); everything is the expression of his love (cf. John 3:16; 13:1; 1 John 4:7-19). Christians ought to act in the same way: "By this will they know that you are my disciples, if you have love for one another". Moreover, the New Testament gives a composite yet differentiated picture of mission. There is a plurality of services and functions which arise from a variety of charisms (cf. 1 Cor 12:28-30; Eph. 4: 11-12; Rom. 12:6,8). St. Paul hirnself noted the particular character of his missionary vocation when he declared that he was not sent by Christ to baptize but to announce the Gospel (1 Cor 1:17). For this reason, alongside the "apostles ", the "prophets", and the "evangelists ", we find those who are called to deeds for the community and for the assistance of those who suffer. There are the tasks of families, of husbands, of wives, and of children. There are the duties of masters and servants. Each person has a task of particular witness in society. The First Letter of Peter, sent to Christians living in situations of diaspora, gives indications which never cease to surprise by their relevance for today. A passage of this letter was cited by Pope John Paul II in 1979 to the Catholic community of Ankara as " the golden rule of contacts between Christians and their fellow citizens of other faiths: 'Revere the Lord Christ in your hearts, and always have your answer ready for people who ask you the reason for the hope which is in you. But give it with courtesy and respect and with a dear conscience'" (1 Pt 3:15-16). Among the many examples which could be drawn from the history of Christian mission, the norms given by St. Francis of Assisi, in the "Regola non bollata" of 1221, are significant. The friars who "through divine inspiration would desire to go among the Muslims... can establish spiritual contact with them (Muslims) in two ways: a way which does not raise arguments and disputes, but rather they should be subject to every human creature for the love of God and confess themselves to be Christians. The other way is that when they see that it would be pleasing to the Lord, they should announce the word of God". Our own century has seen the rise and affirmation, especially in the Islamic world, of the experience of Charles de Foucauld, who carried out mission in a humble and silent attitude of union with God, in communion with the poor, and in universal brotherhood. Mission must always revolve about man in full respect for his freedom. For this reason, the Second Vatican Council, while having affirmed for the whole church the necessity and urgency of announcing Christ, "the light of life ", with all apostolic faithfulness and fortitude, even, when necessary, to the shedding of one's own blood (DH 14), confirms the need to promote and respect the true freedom of the other person, rejecting any form of coercion whatsoever most especially in the religious sphere.
" In spreading religious faith and introducing religious practices, everyone ought at all times to refrain from any manner of action which could seem to carry a hint of coertion or of a kind of persuasion that would be dishonorable or unworthy, especially when dealing with poor or unedu¬cated people. Such a manner of action would have to be considered an abuse of one's right and a violation of the rights of others" (DH 4). This respect for every person ought to characterize the missionary activity of the church today (cf.ES 77; AAS 1964, pp. 642-643; EN 79-80; RH 12). "Man is the first path which the church ought to traverse in carrying out its mission" (RH 14). These values, which the church continues to learn from Christ its teacher, should lead the Christian to love and respect all that is good in the culture and the religious commitment of the other. "It concerns respect for everything which the Spirit, who blows where he wills, has produced in man" (RH 12; cf. EN 79). The fact that Christian mission can never be separated from love and respect for others is proof for Christians of the place of dialogue within that mission. Dialogue does not grow out of the opportunism of the tactics of the moment, but arises from reasons which experience and reflection, and even the difficulties themselves, have deepened. The church opens itself to dialogue through fidelity to man. In every person and in every human group there is the aspiration and the need to be considered responsible subjects and to be able .to act as such. This is the case whether one regards the' need to receive or, even more, when one is conscious of possessing something which is to be communicated.	.
As the human sciences have emphasized, in interpersonal dialogue one experiences one’s own limitations as well as the possibility of overcoming them. A person discovers that he does not possess the truth in a perfect and total way but can walk together with others towards that goal. Mutual affirmation, reciprocal correction, and fraternal exchange lead the partners in dialogue to an ever greater maturity which in turn generates interpersonal communion. Religious experiences and outlooks can themselves be purified and enriched in this process of encounter. The dynamic of human encounter should lead us Christians to listen to and strive to understand that which other believers' communicate to us in order to profit from the gifts which God bestows so generously. Socio-cultural changes in the world, with their inherent tensions and difficulties, as well as the growing interdependence in all sectors of society necessary for living together, for human promotion, and, above all, for pursuing the demands of peace, all render a dialogical style of human relationships today ever more urgent. The church, however, feels itself called to dialogue principally because of its faith. In the Trinitarian mystery, Christian revelation allows us to glimpse in God a life of communion and interchange.	. In God, the Father, we contemplate a pervasive love unlimited by space and time. The universe and history are filled with His gifts. Every reality and every event are surrounded by His love. In spite of the sometimes violent manifestation of evil, in the vicissitudes in the life of each individual and every people there is present the power of grace which elevates and redeems. The church has the duty of discovering and bringing to light and fullness all the richness which the Father has hidden in creation and history, not only to celebrate the glory of God in its liturgy but also to promote among all mankind the movement of the gifts of the Father.
" Man - every man without any exception whatever-has been redeemed by Christ, and because with man-with each man without any exception whatever-Christ is in a way united, even when man is unaware of it: " Christ, who died and was raised up for 'all, provides man" --each man and every man-" with the light and the strength to measure up to his supreme calling " (RH 13). In God, the Holy Spirit, our faith allows us to per¬ceive the force of life and movement and continuous re¬generation (cf. LG 4) who acts in the depth of people's consciences and accompanies them on the secret path of hearts towards the truth (cf. GS 22). The Spirit also works "outside the visible confines of the Mystical Body" (RH 6; cf. LG 16; GS 22; AG 15). The Spirit both anticipates and accompanies the path of the church which, neverthe¬less, feels itself impelled to discern the signs of Her presence, to follow Her wherever She leads and to serve Her as a humble and discreet collaborator. The reign of God is the final end of all persons. The church, which is to be " its seed and beginning" (LG 5, 9), is called from the first to start out on this path towards the kingdom and, along with the rest of humanity, to advance towards that goal. This duty includes the struggle against, and the victory over evil and sin, beginning always with oneself and em¬bracing the mystery of the cross. The church is thus orient¬ed towards God's reign until its fulfillment in the perfect communion of all mankind as brothers in God. Christ is the guarantee for the church and the world that the "last days" have already begun, that the final age of history is already fixed (LG 48), and that, therefore, the church is equipped and- commissioned to work so that there come about the progressive fulfillment of all things in Christ. This -vision induced the Fathers of the Second Vatican Council to affirm that in the religious traditions of non¬-Christians there exist " elements which are true and good " (OT 16), "precious things, both religious and human" (GS 92); "seeds of contemplation" (AG 18), "elements of truth and grace" (AG 9), "seeds of the Word" (AG 11, 15), and "rays of the truth which illumines all man¬kind" (NA 2). According to explicit conciliar indications, these values are found preserved in the great religious traditions of humanity. Therefore, they merit the attention and the esteem of Christians, and their spiritual patrimony is a genuine invitation to dialogue (cf. NA 2, 3; AG 11), not only in those things which unite us, but also in our differences. "That they may be able to give this witness to Christ fruitfully, (Christians) ought to be joined to the people of their time by esteem and love, and acknowledge themselves to be members of the group of people among whom they live. Let them share in cultural and social life by the various exchanges and enterprises of human living. Thus, they ought to know well the religious and cultural traditions of others, happy to discover and ready to respect seeds of the Word which are hidden in them... As Christ himself,... so also His disciples should know the people among whom they live and should establish contact with them, to learn by sincere and patient dialogue what treasures a bountiful God has distributed among the nations, of the earth. At the same time, let them try to illuminate these treasures with the light of the gospel, to set them free, and to bring them under the dominion of God their Savior" (AG 11; cf. AG 41; AA 14, 29). The experience of recent years gives evidence of the many ways in which dialogue is expressed. The most important and typical forms which are listed below are seen as distinct from one another yet at the same time connected. Before all else, dialogue is a manner of acting, an attitude and a spirit which guides one‘s conduct. It implies concern, respect, and hospitality towards the other. It leaves room for the other person's identity, his modes of expression, and his values. Dialogue is thus the norm and necessary manner of every form of Christian mission, as well as of every aspect of it, whether one speaks of simple presence and witness, service, or direct proclarnation (CIC 787 no. 1). Any sense of mission not permeated by such a dialogical spirit would go against the demands of true humanity and against the teachings of the Gospel. Every follower of Christ, by reason of his human and Christian vocation, is called to live dialogue in his daily life, whether he finds hirnself in a majority situation or in that of a minority. He ought to bring the spirit of the Gospel into any environment in which he lives and works, that of family, social, educational, artistic, economic, or political life. Dialogue thus finds its place in the great dynamism of the church's mission. A further level of dialogue is that of deeds and colla¬boration with others for goals of a humanitarian, social, economic, or political nature which are directed towards the liberation and advancement of mankind. This kind of dialogue often occurs today in the context of international organizations, where Christians and the followers of other religions confront together the problems of the world. Of particular interest is dialogue at the level of specialists, whether it be to confront, deepen, and enrich their respective religious heritages or to apply something of their expertise to the problems which must be faced by man~ kind in t4e course of its history. Such a dialogue normally occurs where one’s partner already has his own vision of the world and adheres to a religion which inspires hirn to action. This is more easily accomplished in pluralistic societies where diverse traditions and ideologies coexist and sometimes come in contact. In this type of encounter, the partners come to mutual understanding and appreciation of each other' s spiritual values and cultural categories and promote communion and fellowship among people (cf. NA 1). The Christian in this manner can also work together for the evangelical transformation of cultures (cf. EN 18~20, 63). and the dialogue of religious experience. At a deeper level, persons rooted in their own religious traditions can share their experiences of prayer, contemplation, faith, and duty, as well as their expressions and ways of searching for the Absolute. This type of dialogue can be a mutual enrichment and fruitful cooperation for promoting and preserving the highest values and spiritual ideals of man. It leads naturally to each partner communicating to the other the reasons for his own faith. The sometimes profound differences between the faiths do not prevent this dialogue. Those differences, rather, must be referred back in humility and confidence to God who "is greater than our heart" (1 John 3:20). In this way also, the Christian has the opportunity of offering to the other the possibility of experimenting in an existential way with the values of the Gospel. The relationship between dialogue and mission are multiple. We dwell here on several aspects which at the present time have greater relevance because of the challenges and problems they pose and the attitude which they demand. According to the Second Vatican Council, missionary proclarnation has conversion as its goal: "that non-Christians be freely converted to the Lord under the action of the Holy Spirit who opens their hearts so that they may adhere to Hirn" (AG 13; CIC 787 no 2). In the context of dialogue between believers of various faiths, one cannot avoid reflecting on the spiritual process of conversion. In Biblical language and that of the Christian tradition, conversion is the humble and penitent return of the heart to God in the desire to submit one's life more generously to Hirn. All persons are constantly called to this conversion. In the course of this process, the decision may be made to leave one's previous spiritual or religious situation in order to direct oneself towards another. Thus, for example, from a particular love the heart can open itself to one that is more universal. Every authentic call from. God always carries with it an overcoming of oneself. There is no new life without death, as the dynamic of the Paschal mystery shows (cf. GS 22). Moreover, every conversion is the work of grace, in which a person ought to fully find hirnself again" (RH 12). In this process of conversion, the law of conscience is sovereign, because "no one. must be constrained to act against his conscience, nor ought he to be impeded in acting according to his conscience, especially in religious matters" (DH 3). In the Christian view, the principal agent of conversion is not man, but the Holy Spirit. "It is He who drives one to announce the Gospel and in the depths of one’s conscience makes one welcome and understand the word of salvation" (EN 75). It is He who determines the movement of hearts and gives rise to the act of faith in Jesus the Lord (cf. 1 Cor. 2:4). The Christian is but a simple instrument and co-worker of God (cf. 1 Cor. 3:9). comes from the mutual desire for growth. God never ceases to reconcile persons to Himself by the work of His Spirit. The church relies on the promise made by Christ that the Spirit will guide it in history towards the fullness of truth (John 16:13). For this reason it goes out to meet individuals, peoples, and their cultures, aware that in every human community are found the seeds of goodness and truth, and conscious that God has a loving plan for every nation (Acts 17: 26, 27). The church therefore wants to work together with all in order to fulfil this plan and by doing so recognize the value of the infinite and varied wisdom of God and contribute to the evangelization of cultures (cf. ES 18-20). "We also turn our thoughts to all who acknowledge God and who preserve in their traditions precious elements of religion and humanity. We want open dialogue to compell us all to receive the inspirations of the Spirit faithfully and to measure up to them energetically. The desire for such dialogue, conducted with appropriate discretion and leading to truth by way of love alone, excludes nobody. We include in this those who respect high-minded human values without recognizing who the author of those values is, as well as those who oppose the church and persecute it in various ways. Since God the Father is the origin and purpose of an mankind, we are an caned to be brothers and sisters. Therefore, if we have been summoned to the same destiny, which is both human and divine, we can and should work together without violence and deceit in order to build up genuine peace in the world" (QS 92; cf. also, the messages of Popes Paul VI and John Paul II for the World Day of Peace). Dialogue thus becomes a source of hope and a factor of communion in mutual- transformation. It is the Holy Spirit who directs the carrying out of God' s design in the history of individuals and an humanity until the time when God's children who are dispersed by sin will be reunited as one (cf. John 11:52). in conformity with the patience of God. God alone knows those days, He to whom nothing is impossible, He whome mysterious and silent Spirit opens the paths of dialogue to indiciduals and peoples in order to overcome racial, social, and religious differences and to bring mutual enrichment. We live therefore in the age of the patience of God for the church and every Christian community, for no one can oblige God to act more quickly than He has chosen to do. However, before the new humanity of the 21st Century, the church should radiate a Christianity open to awaiting in patience the maturation of the seeds sown in tears and. in trust (cf. James 5:7-8; Mark 4:26-30). *(Document of the SECRETARIATUS PRO NON CHRISTIANIS, Vatican State: The Attitude of the Church towards the Followers of other Religions. Reflections and Orientations on Dialogue and Mission. Pentecost 1984. Pp. 9-22.
way, and He knows very well those who are guided”. Why then, someone may say, did things happen in the way they did? Why are we so badly handicapped by our past? Why has there been so much opposition, such misrepresentation, so many insults and so much abuse? Why in fact has force prevailed over courtesy? The answer is that nothing is simple in the lives of men and we have to examine carefully the sad past we have inherited so, as to avoid making the same mistakes in the future. It is a fact that today people think of Islam as a religion of violence, not as one of dialogue. So we need to explain this point briefly. In the first place, let me emphasise that although certain countries were opened (fath) by force, it is practically unheard of that Islam was anywhere imposed of people. It is also right that we should examine the world situation at the time of Islam's entry on the stage. The two super powers of the time the empires of Byzantium and Ctesiphon, were striving to impose their supremacy over the other existing nations. Nobody thought it wrong to expand the empire by force. You either had to persecute the others or suffer persecution yourself. We have since learned too that all wars are just or can be justified. The martial spirit, was - and alas perhaps still is - the noblest road to glory. And what are we to think of modern revolutionary movements which are supposed to win happiness for various races and to sweep aside anything that might hinder progress? Islam then having been revealed at a given time and in a specific country, enters into history, is lived by men and becomes subject to the law of contingency. Whether it liked it or not, Islam could not help but fit into its own period. The train was already moving, Islam had only to catch it. And so it is a fact that more than one verse of the Qur'an incites to combat and promises the palm of martyrdom and paradise to whoever falls while striving in God's way. Such combat, however, is always put forward as second best, a last resort, which must conform to all sorts of material and moral restrictions in order to be acceptable. It is above all import¬ant to bring out clearly that the verses which incite to war have an es¬sentially, circumstantial application, connected with specific contingencies which today, we would hope, are definitely something of the past. They do not present us with the deep, permanent spirit of the Message, which is that of a hand respectfully and courteously held out to our neighbour, as we have already emphasised. It is the deep and permanent spirit that we must rediscover today in order to clear the path to dialogue of all misunderstandings which have blocked it in the past and which are in danger blocking it again in combination with other difficulties of the present time. Even when the mortgage of the past has been paid off, there still remain problems to be solved. Other difficulties continue to exist even after good will can be counted. We must begin by emphasising the major difficulty: the enormous difference between those taking part in dialogue as well as the different level of studies within the respective traditions. There can be no doubt that this obstacle is the hardest to overcome in the immediate future as, even with the finest dispositions and the best will in the world, one cannot just instantaneously produce, as if by enchantment, people fully qualified and capable of taking part in dialogue. Now it goes almost without saying that most of modern Islam belongs to the disinherited zone of under-development, an under-development which is not only material but perhaps above all intellectual. The fact that one can call to mind the names of one or two eminent thinkers does not affect the situation as a whole: the exception only goes to prove the rule. So we can say (with apologies to Corneille) that there is not only a risk of dialogue coming to an end, but of it never really beginning for a lack of ‘dialoguers’. It is this fact far more than any difficulties over principles or methods of approach, which explains the hesitation, the reticence, the lack of trust even, and generally speaking the present sterility, despite several efforts made as only to be expected, on the initiative of Christians. There is also the fact of unequal theological development. Christian theology has been able to profit by its confrontation with other intellectual systems. The most dangerous of these have finally been the most salutary for its development, by subjecting it, under the pressure of contestation and criticism, to a fruitful tension. It has thus been able to understand its own values, work out answers, undertake at times agonising revisions, in the course of which it has also, and perhaps most importantly, been enriched by elements which have proved to be compatible with its own internal dynamism. And what is Islam doing in face of such an unprecedented effort by the Church? It offers us a theology whose evolution practically came to an end in the 12th century. Muslim theology thus progressively lost contact with the world. For centuries, no new problems arose to challenge it and force it to investigate more closely the mystery of the world and of God. It is thus seen as something congealed, something often merely of historical interest. It is true that there was the Nahda, the renaissance of the 19th century, but this, while far from being something negative, has not yet succeeded in reinstating Islam in the movement of history. The distance covered may well seem slight in comparison with the journey which still lies ahead. [...] If we wish to overcome this difficulty, which gives birth to mental reservations and distrust, we must expose it in public in all frankness and serenity. As long as one side suffers from a superiority complex and the other from an inferiority complex, no useful purpose can be served in trying to open dialogue. In order to avoid any misunderstanding let us say, first of all, that if at the present moment Christians and Muslims are unequally pre¬pared for dialogue, as we have just stressed forcefully, Islam in itself has no need to maintain any sort of complex with regard to Christianity. [...] Frontiers today are full of gaps: They fail to stop human contacts, the seductive attraction of example, books, films, and still less radio transmissions, to be followed soon by television broadcasts. Isolation becomes more and more a pipe dream in a world in tumult and plunged in contestation. It is just as if humanity today is going through a new crisis of adolescence. Of course it is evident that however possible dialogue may be it is not easy to realise. So we must establish clearly the conditions required in order to allow it the maximum possibility to succeed and to be equally fruitful for all taking part. [...] For this purpose we must avoid two attitudes both of which could prove to be fertile sources of misunderstanding, disappointments and bitterness. These are the spirit of controversy and that of compromise and complacency. Besides, in the case of the great religions which have evolved to an equal degree, conversions are no longer obtained through proselytism and polemics. Neither that of Carlo Coccioli, the author of Tourment de Dieu, who went from Christianity to Judaism, nor that of Edith Stein who took the opposite road but was nevertheless was sent to the furnaces at Auschwitz for being fundamentally a Jewess, not that of Isabelle Eberhardt who took refuge in L’ombre chaude de l’Islam , where brought about in this way. They were the final destination of a more demanding and more complex spiritual odyssey, the fruit of an intense individual psychological drama, whereby they acquired a higher value and greater depth. But then, for a religion to renounce as one of its objectives the conversion of those who have not yet come under its sway, is that not equivalent to abandoning its universalistic vocation, deny its past, and failing to carry out its duty of the Apostolate? This is precisely the moment when we must get rid of any equivocation and point out, in order to be completely sincere and totally successful, the second peril to be avoided, that of excessive complacency and compromise. Nobody, whether believer or atheist, should ever compromise concerning his or her convictions or ideas. This is the unquestionable law of progress and of the asymptomatic progress towards Truth. Besides, true convictions that have become part of one’s life are not negotiable. And so it is not a question of going from one extreme to the other seeking at all cost, in a pure spirit of conciliation and without a real change of heart, accommodating solutions which only result in syncretism and confusion of thought. The sort of dialogue in which we are interested is not a question of policy, an exercise of the art of compromise. It is something much more important. It supposes total sincerity and, to be fruitful, it requires everyone to be completely himself, without aggressiveness or compromise. Thus we get back to the full requirements of the apostolate, but this time purified from the slag of polemics and of proselytism which leads to blindness. Seen from this point of view the apostolate becomes essentially an attentive openness towards our neighbour, an incessant seeking for truth and continuous deepening and assimilation of the values of faith, and, in the final analysis, pure witness. This sort of apostolate is called in Arabic, jihad. This statement may well surprise all those for whom this word recalls the clash of holy wars past and present. Let me explain to them jihad both etymologically and fundamentally has nothing to do with war. Arabic has no lack of words to describe all kinds of warfare. If the Qur’an had really wanted to talk of war there would have been an embarrassing choice of words to be found in the rich and colourful vocabulary of pre-islamic poetry, which is entirely given over to exalting the ‘great days’ of the Arab race (ayyam al-Arab) when this people engaged in their favourite pastime of disembowelling one another. Jihad must therefore be something different. Essentially and radically it is an extreme, total effort in the way of God (fi sabil Allah). Tradition makes it clear that the purest, most dramatic and most fruitful form of it is al-jihad al-akbar, the combat which takes place in the secrecy of one’s conscience. This means that the finest form of apostolate is the witness of a life in which the struggle for moral perfection has succeeded. This form of apostolate through witness is the only one which gives results and is, moreover, in agreement with modern thought. It has no need of proselytism. Did not the Qur’an itself remind the Prophet personally that he could not guide men towards God just as he liked, but that it is really God who guides towards himself those whom he chooses? (Innaka la tahdi man ahbabta wa lakinna Allaha yahdi man yashau wa huwa alamu bi-l-muhtadin) “Thou guides not whom thou likest, but God guides whom he will, and knows very well those that are guided! (Q. 28.56) In fact, as far as the apostolate is concerned, our duty is to give witness, and it is for God to convert people.”Thus we appointed you a midmost nation that you might be witness to the people, and that the Messenger might be a witness to you.” (wa kadhalika ja’alnakum ummatan wasatan li-takunu shuhada’a ‘ala al-nas wa yakuna al-rasulu alaykum shahidan, Q. 2, 143) So it is quite possible to develop a Muslim theology of the apostolate which scrupulously respects the rights of others. It is evident of course that this is just as possible for Christianity – a religion of witness through martyrdom – as well as for other religions. Consequently co-existence, or better still co-operation, without any denial of self or renunciation of one’s own convictions, is not only possible, but very fruitful. So when both extremes of polemical proselytism and complacant compromise have been avoided the duty of the apostolate is not done away with. Rather it takes on its most noble and most difficult form, that one of an interior jihad, and opens the way to a healthy spirit of emulation in the pursuit of Good. However this interior jihad should not deteriorate into a selfish mystical, or rather static, concentration on self, or into an all too easy form of self-satisfaction, or even tran¬quil indifference. It must remain at the same time witness, and bear evidence of a questing spirit marked by openness and a sense of disquiet. It is at this level that dialogue can be decisive, by creating a healthy climate of mutual exchange and of intellectual and spiritual tension. It can help towards a continuous and reciprocally deeper understanding of the values of faith. Movement will replace inertia. This attitude implies, however, if ambiguity is to be avoided, that we admit that there are several ways to salvation. Now this problem is not the easiest one to resolve. The influence of the past makes itself felt here more than anywhere else. With very few exceptions, the theological systems of all re¬ligious confessions have been based on the axiom, expressed in different ways, that “outside the Church there is no salvation." Within each faith the group of faithful to benefit by salvation has been still more restricted by the rejection of various heresies the followers have been consigned to eternal damnation. This leads to the conclusion that apart from cer¬tain chosen ones, the vast majority of human beings are destined for perdition. And yet all faiths proclaim that God is Justice, Mercy and Love! It is precisely in this area that we need a real theological renewal and a radical change of mentality. For what chance is there of an open-minded dialogue free of distrust if, from the very beginning, we lay down the absolute principle that those of the other side will inevitably be condemned to hell solely on account of their convictions? On the part of the Church, there has been a very evident evolution since Vatican II which is particular addressed Muslims in these terms: “Upon the Muslims, too, the Church looks with esteem. They adore one God, living and enduring, merciful and all-powerful. Maker of heaven and earth… whose decrees are sometimes hidden, but to which one must submit wholeheartedly just as Abraham submitted to God, Abraham with whom the Islamic faith is pleased to associate itself. Though they do not acknowledge Jesus as God, thus revere him as a prophet. They also honour Mary, his virgin mother, at times they call upon here too with devotion…Consequently they give worship to God, especially through prayer, almsgiving and fasting. They strive to live a moral life in obedience to God at the individual, family and social level. Although in the course of centuries many quarrels and hostilities have arisen between Christians and Muslims, the council urges all to forget the past and to strive sincerely for mutual understanding. On behalf of all mankind let them make common cause of safeguarding and fostering social justice, moral values, peace and freedom.” (Nostra Aetate 3). In the same spirit G.C. Anawati states that where salvation is concerned it has long been admitted that the two requisites for faith laid down by St. Paul exist in Islam. And he adds: This means that when I wish to engage in dialogue with a Muslim, I do not have to begin by automatically placing him in hell merely because he is a Muslim. On the contrary I can assure him that under certain conditions, which are quite realisable, he can find salvation while still remaining a convinced Muslim. Can one think of any better way of beginning a fruitful dialogue? Perhaps someone will formulate the following objection, once the difficulties mentioned have been overcome, and the conditions postulated have been realised: does dialogue still make sense or have any object? Of course it does! Basically it becomes a disinterested and un¬qualified collaboration in the service of God that is to say in the ser¬vices of goodness and truth. In such a straightforward, relaxed and serene atmosphere, everyone without exception can profitably engage in dialogue. For let us have no illusion on this point: if dialogue is not equally fruitful for all, it will either not take place at all or it will get no¬where. Any community which feels itself in danger will raise customs, barriers and will take refuge in a sort of intellectual protectionism, which, though it has no more chance of success than its economic counterpart, will nevertheless become firmly established. This is because, when in grave peril, people do not consider what they stand to lose by isolating themselves. In such cases the primitive instinct of self-preservation takes over. On the contrary, in an atmosphere of confidence ideas circulate more freely, and if they are capitalised on and invested in they pay dividends to all. So the primary objective we must fix for ourselves in any dialogue is to remove barriers and to increase the amount of Good in the world by a free exchange of ideas. On all the great problems which confront us and which sometimes challenge the very meaning of our existence, all human families, whether their outlook is materialistic or spiritual, have something to gain from comparing their own solutions and coordinating their solutions wherever this is possible. Across the heights that divide us it is not all that difficult to hold out our hands to one another, even when we draw our inspiration from divergent or even discordant sources. Growing cultural unification, which is perhaps the most striking phenomenon of our time, is daily drawing men closer to one another and placing them on the same level. Concerning the crucial problems of our time, believers and unbelievers, whatever their opinions, often hold useful discussions together which bring enrichment through the confrontation of different points of view. It should be therefore be still easier for all believers, united in a unanimous service of God, to discuss matters between them and to discover when the right atmosphere has been created in the manner indicated, a common language. For example, there is absolutely no reason at all we should not consider together what answers should be given to the questions asked in the conciliar document Nostra Aetate. It may be useful to call to mind these questions: What is man? What is the meaning and purpose of life? What is goodness and what is sin? What gives rise to our sorrows and to what intent? Where lays the path to true happiness? What is the truth about death, judgement and retribution beyond the grave? What finally is that ultimate and unutterable mystery which engulfs our being and whence we take our rise, and whither our journey leads us? A new exegesis, which does not have to turn its back on past wealth and positive advances, will have to be worked out in a climate of adventure, of exchange of ideas, end of urgency to keep up to date and to settle all the doubts of our day. By creating such a fertile climate of tension, which has so dramatically been lacking in Islam for centuries, dialogue could play the role of shaking Muslims out of their false sense of security and could make their hearts and ears once more attentive to the message of God. 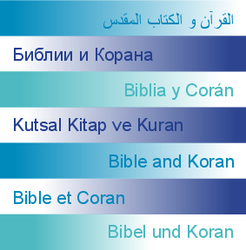 For if the word of God is eternal, as every Muslim be¬lieves, it follows necessarily that, though revealed in time and space, it transcends all temporal and spatial characteristics, and remains always and everywhere perceptible, present and forever new. It must therefore be perceived and accepted, not in a static manner, but rather as a set of properties and potentialities which are to be brought into actual existence by means of ceaseless research. This is not necessarily a revolutionary request. Many exegetes in the past have felt the need for just this sort of thing, because they had rightly become fascinated by the depths of mean¬ing in the Qur’anic word whose exuberant vitality sweeps aside all linguist¬ic barriers. Hence, the necessity of listening to God with our present day understanding, listening to Him in the here-and-now of the present moment.